Licensed since 1985, Jean Ann has specialized in selling real estate in the Northwest area of Columbus since moving to Dublin in 1988. Amy expanded the business to include urban areas of Columbus. 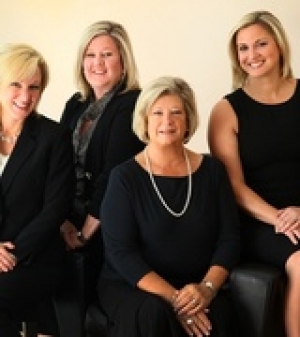 Working as a mother-daughter real estate team for more than a decade, we've found our diverse neighborhood knowledge and savvy business skills to be perfect complements. Specialists in relocation as well, we draw on past experience and knowledge of greater Columbus to ensure our clients' transition into new communities as smoothly as possible. We find great satisfaction in matching homes, schools and neighborhoods with the needs and goals of our valued clients. To us, word of mouth is the best advertisement. We enjoy an extremely high level of repeat business and referrals. Our clients constantly call back for the service and real estate market knowledge they can trust. So it's no surprise our clients frequently turn into long-term friends and acquaintances. We look forward to learning more about your real estate needs and putting our expertise to work for you!